Traditionally, they were walking outdoors in Stryiskyi park, one of the most beautiful spots in Lviv. 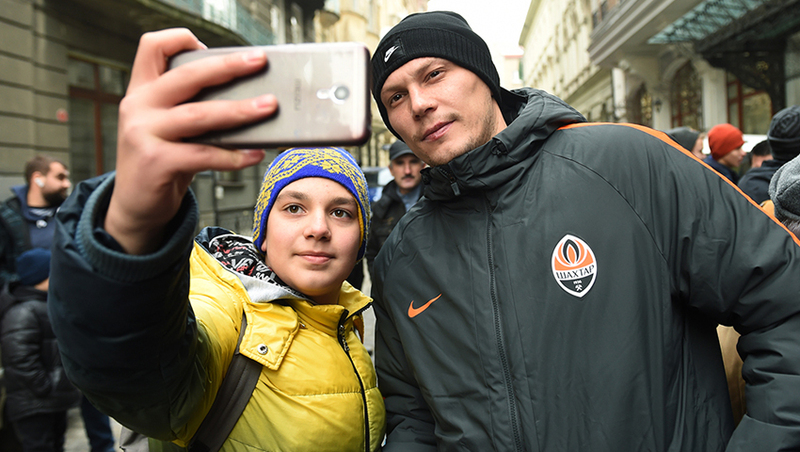 Shakhtar fans got their share of autographs and selfies, while the players and coaching staff received a great energy boost before an important game. After lunch, the team will have some rest, going later to the Arena Lviv about two hours before the game kick off. You can buy tickets for the game at the stadium ticket office, on shakhtar.com and partner sites (kasa.in.ua, internet-bilet.ua, esport.in.ua, tickethunt.net, ukrticket.com.ua).